Two wins from three races. One pole position. 41 laps led. Lead in the driver’s championship. Lead in the team’s championship. Not bad for a weekend’s work for BimmerWorld Racing. Ask BimmerWorld owner James Clay if he likes the Mid-Ohio circuit – the site of his team’s first professional win back in 2007 – and he’ll not only give you a resounding ‘Yes!’ but he’ll also tell you he wouldn’t mind if every round of GRAND-AM’s Continental Tire Sports Car Challenge series was held as the twisting 2.2-mile Ohio track. After such a positive rebound from the frustrating turn of events at Watkins Glen, Clay was happy to see his team move on and move up in the Continental Tire Sports Car Challenge series after a dominating weekend at Mid-Ohio. While it looked like Clay and teammate David White, the pole sitter for the EMCO Gears Classic, were the early favorites for the win, the drivers of the No. 80 BimmerWorld/GearWrench BMW E90 were forced to settle for a fighting fourth-place finish. The win would instead go to Seth Thomas who took over from Bill Heumann and continued to speed off into the distance, leading the final 25 laps of the 81-lap race to post BimmerWorld’s second victory in the span of three weeks. Putting in another fantastic drive, the GRAND-AM rookie Heumann says his rapid growth and success is becoming easier to embrace with each race. As he’s done repeatedly in 2010, Thomas credited the hard work from his team and the advantage his brakes provide for allowing him to carve through the field at Mid-Ohio – a track where cornering and stopping are most critical to running up front. The No. 81 BMW’s fastest race lap was just the fourth fastest in the ST class, but Thomas and Heumann were able to run those fast laps consistently. This allowed Thomas to stretch his lead as the race drew to a close, but with a late caution flag, the Georgia native saw the margin evaporate. It made for a harrowing run to the checkered flag. If finishes of first and fourth at Mid-Ohio could be described as ‘highs and lows,’ James Clay and David White will go home satisfied with their performance. White, who earned his second pole position out of seven races – both in his rookie season – has marked himself as a man to watch in the Street Tuner class. While his poles and his efforts in leading races might look easy from the outside, he says it is far from it. After watching White lead the first 16 laps, Clay was hoping the day would end with the No. 80 BimmerWorld/GearWrench car in Victory Circle, but instead, he watched as the sister No. 81 took its second win of 2010. As both the owner and a driver within the team, Clay was ecstatic to see Thomas and Heumann win, but admits he wouldn’t mind taking the next victory with co-driver White. 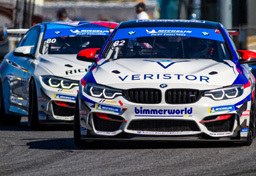 With BimmerWorld now leading the driver and team championships by a scant one point advantage, the final three rounds will place a premium on making it to the finish ahead of their rivals. As Heumann shares, it’s impossible to protect such a small championship lead – they will have to battle on every lap until the final lap of the season finale at Miller Motorsports Park in Utah. 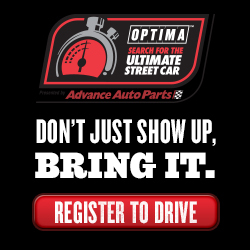 Watch the broadcast of BimmerWorld’s Mid-Ohio victory June 26th at 1 p.m. 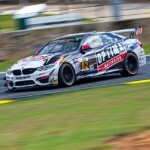 ET on SPEED, and learn more about the team and their sponsors at www.BimmerWorldRacing.com.